WARNING: ANY CHANGE OF PASSWORD OR ANY OTHER REVISIONS TO THE SECURITY SETTINGS OF YOUR ACCOUNT, IF COMPLETED SUCCESSFULLY, WILL RESULT IN TERMINATION OF ALL OPEN SESSIONS IN YOUR ACCOUNT. THIS MEANS THAT YOU SHOULD HAVE TO LOGIN AGAIN USING YOUR CHANGED PASSWORD, OR OTHER REVISED SECURITY SETTINGS OF YOUR ACCOUNT. PLEASE, NOTE, AFTER YOUR PASSWORD CHANGE, OR AFTER OTHER REVISIONS TO YOUR ACCOUNT SECURITY SETTINGS, YOUR FUNDS WILL NOT BE AVAILABLE FOR WITHDRAWAL FOR THE NEXT 48 HOURS. WE APOLOGIZE FOR THE INCONVENIENCE, BUT THIS IS DONE TO PROTECT OUR CUSTOMERS’ FUNDS FROM POTENTIAL ONLINE FRAUD. IT IS OUR STANDARD SECURITY PROCEDURE. Thank you for your patience and understanding. 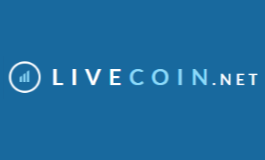 If you have any questions, you are encouraged to contact via a ticket or via e-mail help@livecoin.net using the same e-mail address as was used to open your account, otherwise your message will be unanswered, because we are unable to confirm your identity.